Bike Walk Lincoln Park: See you at the Streets for Cycling meeting Wednesday evening! See you at the Streets for Cycling meeting Wednesday evening! Don't forget to take the survey about potential north side neighborhood greenways! We'll be closing the survey on Friday, February 3, so don't delay: take it now. 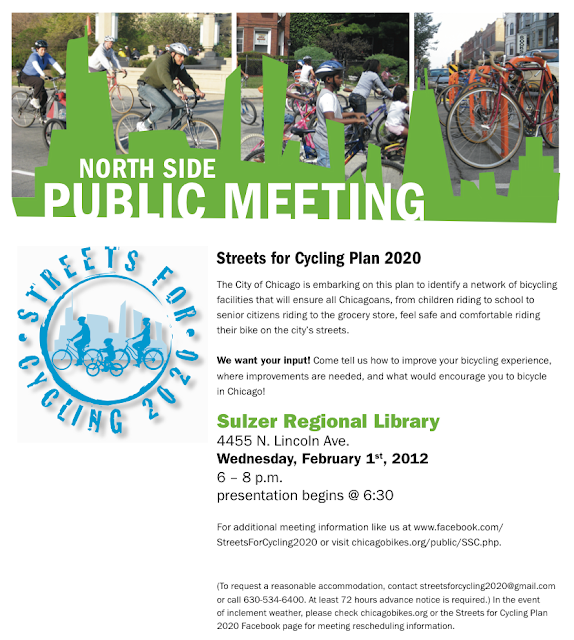 See you Wednesday evening at the Streets for Cycling Plan 2020 meeting at Sulzer Library!